 Royal Events bring together loyal supporters of the American Royal to celebrate and advance the mission and vision of the American Royal. In preparation for the 2019 American Royal World Series of Barbecue®, the American Royal is teaming up with the Kansas City Barbeque Society to hold a Certified Barbecue Judging Class. In preparation for the 2019 American Royal World Series of Barbecue®, the American Royal is teaming up with the Kansas City Barbeque Society to hold a Certified Table Captain Class. We ‘AR’ Family and we’re showing our appreciation for our amazing volunteers at this year’s Volunteer Appreciation event. To celebrate National Barbecue Month, the American Royal is teaming up with the Kansas City Barbeque Society to hold a Certified Barbecue Judging Class. To celebrate National Barbecue Month, the American Royal is teaming up with the Kansas City Barbeque Society to hold a Certified Table Captain Class. Calling all Volunteers! Kick off the 2018 season at Volunteer Training. Learn about upcoming events and the Disney event experience used by the American Royal. ©2019 American Royal Association. All Rights Reserved.